Naruto sat at a conference table with Shino, Shikamaru, Choji, and Hinata. "So who do you think we should invite next?" Naruto asked, looking at his friends. "I think Kiba should be next," Hinata said. "I agree, but there is also Rock Lee from last year," Shino said. "Troublesome, why don&apos;t we bring both, Kiba could use the ninjutsu we have to offer and Lee will never reach his full potential. He has a disease that destroyed his chakra network, we could hook him up to a chakra battery but make it stronger than ours it would have to be able to hold a Jonin level of chakra to last him any amount time," Shikamaru said. Naruto thought for a second. "That could work but it would be very hard to work with. What if we have him Chunin sized reserves but has a slow acting nature filter. 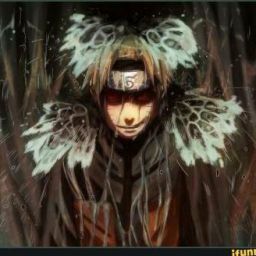 If it goes to fast it may kill him," Naruto said. "He will have to make the choice for himself," Choji said. "Hinata, Choji we have a mission today we will need you to bring Kiba here and explain everything that is going to happen and make sure he stays in line," Naruto said, the two nodded. "What about Lee?" Shino asked. "Don&apos;t worry I will talk to him," Naruto said. "Let&apos;s go it&apos;s almost sunrise,” Naruto stands the others following. As they left the cave a small red spider with wings landed in his shoulder. "Naruto the queen wants you to know that the guardians are almost ready," the bug told him. 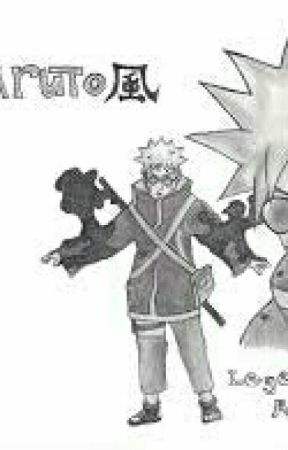 "Tell her to hold out on the others until I can bring back a kekkei genkai," Naruto said. He then left the cave and joined his team when they saw a hawk flying around them. "Troublesome the council wants us," Shikamaru said. The other two nodded and left towards the council. When they arrived they were directed by two ANBU into the council room. When they got there they saw the entire council, minus Jiriya, and team nine without there sensei. "Team eight and team nine you two ate are the strongest teams out of all the Gennin teams. Because of this we are sending you on a joint mission to the fire capital. Once there you will be competing against teams from the other major nations in a tournament," the Hokage said. "Troublesome, Hokage-sama what is the point of this tournament," Shikamaru said. "You truly have your father&apos;s brain," Hiruzen said getting a chuckle from the council. "This is how the daimyos decide who to have added to their personal guard." "So there&apos;s a chance that we will be added to the daimyo&apos;s youthful guards?" Lee asked. "As of now no," he said getting a sad look from Lee. "But once your reach Chunin there is a chance you will get a offer to join, well all but Naruto." "Why is that Hokage-sama?" Tenten asked. "Since I am the last of my clan," Naruto said. "Why? He will be a clan head and won&apos;t be able to join since he will have duties in the village," Shino said. The council looked at the aburame brothers than at shibi. "It would be illogical to assume this is my fault," he said. "Why? Because that also creeps me out." Shikamaru laughed at that. "Troublesome, you two are really bugs of the same nest," Shikamaru said. "Everything else set aside its time for you guys to go, you need to be ready by morning. Neji and Shikamaru you to will lead this mission," Hiruzen said dismissing the teams. As they left Naruto walked up to Lee.